Gift set contains 3 products including two tubes of Natural Moisturizing Lipstick in Blush Basin and Suede Splash, and one tube of Natural Tinted Lip Balm, Hibiscus in a gift able deluxe box. 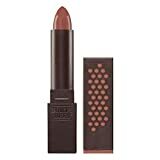 This Burt’s Bees Lip Color Trio gift for her contains everything to give the nourishing kiss of color and moisturizing care for up to eight hours every day. 3 great full sized 100% natural products, which include two lipsticks and one tinted lip balm to keep lips hydrated, make the perfect gift for mom for Mother’s Day. Naturally moisturizing lip products packed in an attractive, deluxe gift ready box with a compact mirror for easy, natural gift ideas, no wrapping necessary. Give the gift of nourishment with this Burt’s Bees lip trio set for any special occasion like Mother’s Day, birthdays, anniversaries, holidays, or treat yourself.